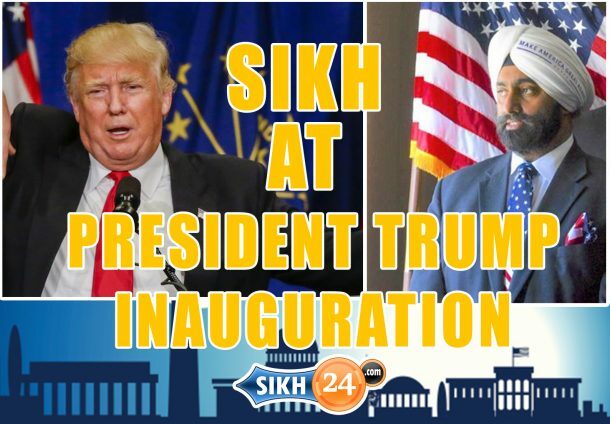 WASHINGTON DC, USA—Jasdip (Jesse) Singh, a staunch supporter of President-Elect Donald Trump, is to be the Sikh representative to participate in the inauguration service of America’s 45th Presidency today. As per tradition, clergymen of a number of religions will form part of the service, which number more than two dozen this year. Participants will include Muslim, Jewish, Hindu, Baha’i, Navajo, Mormon, Greek Orthodox, along with many more. Jasdip was one of only a few Sikhs who showed support for Trump and was interviewed by American media a number of times during Trump’s election campaign last year. Contrary to the position of a majority if minority communities, he was quoted as saying Trump was not a racist. Alongside Jasdip Singh, a Muslim, also extensively interviewed for being representative of the few Muslim supporters of Trump, turned out to be business partner of Jasdip’s, in their care home for mentally ill patients. The two collectively campaigned during last Summer and will be present during the inauguration later today. The ceremony begins at 12pm (ET) at the White House, in Washington D.C.